Citigen (London) UK Ltd – based in Charterhouse Street in Smithfields and owned and operated by E.ON, this scheme is fuelled by gas and gas oil, and is rated 31 MW and first started operating in 1995. The unit operates in Combined Heat and Power (CHP) mode providing heating, and also cooling (via chilled water) distributed by a district energy network to a number of customers in the City area. Thames Valley Power – a joint venture between EDF Energy and ATCO Power, this Gas/Gas oil 15MW CHP has been operating since 1995 at Heathrow Airport. London Heat & Power Company – a 9MW gas CHP based at Imperial College which started operation in 2009. Taylors Lane – Taylor’s Lane Open Cycle Gas Turbine (OCGT) station, situated in Willesden is operated by E.ON and has two gas turbine units fired on natural gas with a total capacity of 132MW and began generating in 1979. Enfield Power Station– E.ON owned and operated 400MW gas turbine scheme which began generating in 1999. SELCHP – South East London Combined Heat & Power Ltd (SELCHP) 32 MW waste fired operated by Veolia Environmental Services began generating in 1994 – but only in power-only mode. Heat offtake opportunities (so the plant can finally operate in true-CHP mode) are currently being explored with Southwark Council. The majority of energy consumed in the domestic sector is for spacing heating which in 2009 represented 61 per cent of total domestic consumption. 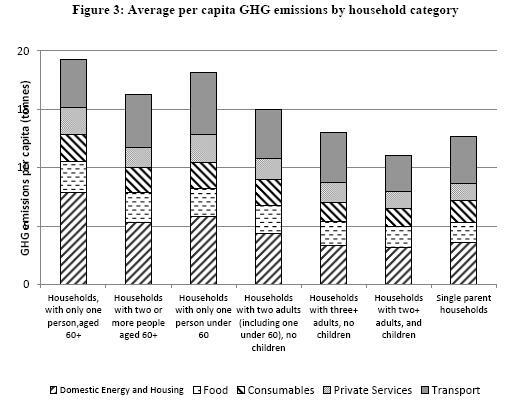 No other official data providing a breakdown to this level of energy consumption in homes exists. No regional breakdown is provided or breakdown by dwelling type, hence this is the best available dataset to use in relation to energy consumption in Londoners’ homes. See the following Ofgem factsheet for information on typical total domestic energy consumption. 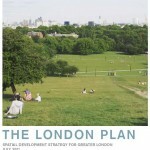 July 2011: The Committee on Climate Change are currently undertaking a review of bioenergy and took a trip to have a look at the work of Uptown Oil who collect used cooking oil from about a thousand sources in London – including Young’s pubs, Selfridges and Hackney Borough Council – to produce biodiesel. Uptown have also been selected to supply biofuel to PWC’s new HQ whose energy will be partially supplied by a trigeneration scheme (combined heat and power with cooling) – one of London’s only biofuelled CHP schemes. 28 July 2011: An interesting issue which hasn’t been raised for some time: “Trains carrying highly radioactive nuclear waste which normally pass through the Olympic Park are to be suspended for the duration of the Olympics. The operator of the trains, Direct Rail Services – a company wholly owned by the Nuclear Decommissioning Authority – has claimed the the suspension is not security-related but to free up track space. The spent nuclear fuel rods, sent from the Sizewell B plant in Suffolk to Sellafield are routed across the North London Line of the London Overground, passing through Stratford, Hackney, Islington and Camden on their way to the West Coast Main Line at Willesden Junction.” Read the full article here. July 2011: A timber framed, two bedroom house in Camden has become the first certified Passivhaus in London, setting a benchmark for energy efficient design for the city. Read the full Green Building Press article here. 27 July 2011: Street lights that can be dimmed to conserve power are to be used across central London to cut energy bills and lower carbon emissions. More than 14,000 lights will be converted as part of Westminster City Council’s Smart Lights project. 27 July 2011: The Royal Marsden Hospital in Sutton has announced that it will be installing a Combined Heat and Power plant (CHP) on site. The capacity of the gas-fired CHP unit isn’t given, but further information on the project is provided on the following press release from MITIE, the engineering company leading the development. 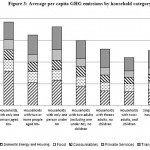 July 2011: New Economics Foundation research paper- The distribution of total greenhouse gas emissions by households in the UK, and some implications for social policy which looks at – for the first time – indirect household greenhouse emissions embodied in the consumption of food, consumer goods and services, including imports. No regional breakdown emissions outputs for London, but still useful analysis on an area which will be increasingly studied. 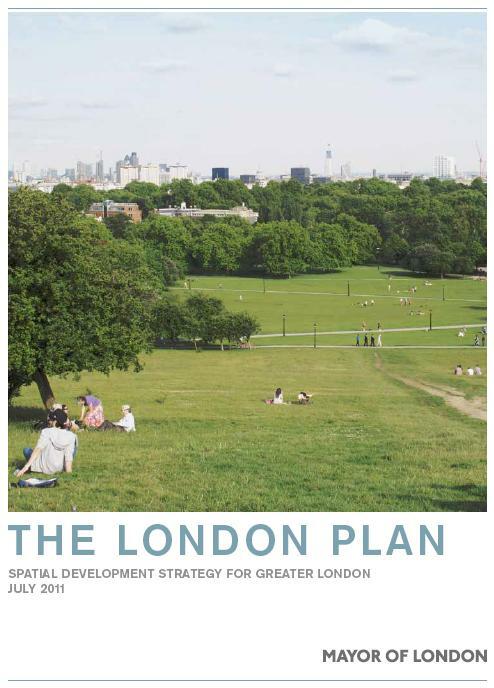 When preparing LDFs boroughs should identify opportunities for reducing CO2 emissions from the existing building stock, and also identify and establish decentralised energy network opportunities. With the aid of the London Heat Map, boroughs should develop energy master plans for specific decentralised energy opportunities. Further policy requirements for decentralised energy systems, renewable and innovative energy technologies and the overheating and cooling of buildings are also set out in the Plan. 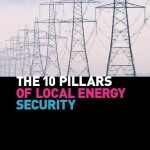 July 2011: A new paper from the Local Government Information Unit (LGIU) which, in the light of the Government’s recent announcements on electricity market reform, proposes that the main responsibility for leaders in councils now is local energy security. 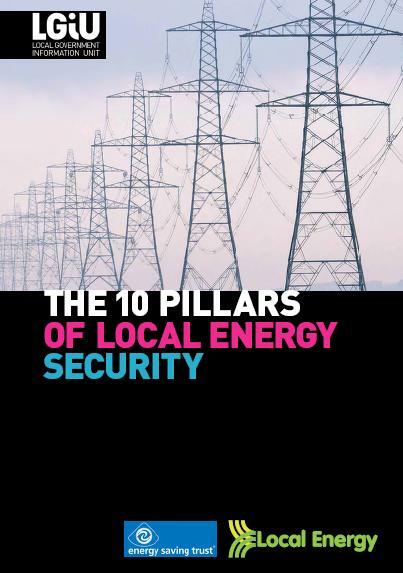 Communities, businesses and the council itself need energy to function and the supply should be reliable and sustainable. The right energy in the right place, now and in the future. 25 July 2011: London Assembly member Mike Tuffrey outlines his new initiative launched today to convert London’s buses, taxis and light goods vehicles to electric power by 2020.